Are you mad about sports? There are some iconic events or venues you simply need to add onto your bucket list, so you can experience them at least once in your life. Here are five of the best sports experiences across the world worth traveling for. The annual Masters Tournament takes place in the first full week of April at Augusta National Golf Club in Georgia, and is the first of four golfing majors in the year. It guarantees a week filled with drama, sunshine and exceptional sporting talent, not to mention you’ll enjoy plenty of good ol’ southern hospitality. It’s also one of the most affluent sporting events you can attend, so you won’t be short of five-star hotels to choose from, as well as excellent food, drinks, and pampering. Yet, you’ll need a big budget to do so, but it’s one sporting event you’ll want to tick off your bucket list. Madison Square Garden, often called MSG, is home to NBA’s New York Knickerbockers, known locally as the Knicks, and NHL team the New York Rangers. Regardless of whether you love basketball or hockey, you will want to soak up the electric atmosphere at this incredible stadium, which is one of the most expensive ever built. The multipurpose venue is also a great place to catch boxing, professional wrestling, ice shows, and other entertainment and sporting events. Visit Ticket Sales to book tickets to an upcoming game. 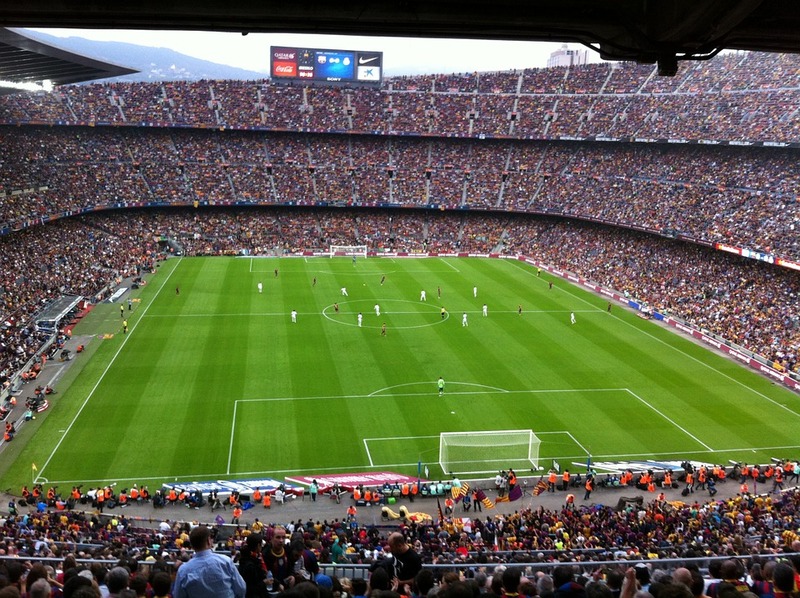 It doesn’t matter if you love or loathe soccer, you will never want to leave Camp Nou, which offers an experience unlike any other. The largest stadium in Europe is home to FC Barcelona and is alive with electricity once the passionate fans arrive in the stands. You can guarantee you’ll be captivated as one of the greatest soccer teams on the planet take to the pitch. Forget Wimbledon, as there is no better event than the ATP World Tour Tennis tournament, which is played every April at the Monte-Carlo Country Club. You’ll watch some of tennis’s best players battle it out at the Monte-Carlo Masters, and you’ll also adore the stunning views that overlook the Mediterranean Sea and Monte-Carlo Beach. It’s also a great way to meet your tennis idols, as it’s common to see the likes of Roger Federer in the small town. What’s more, it’s home to some of the finest hotels and foods in the world. The mountainous backdrop of the Four Hills Tournament is worth the trip alone. The German-Austrian ski jumping week is composed of four events that take place in both Germany and Austria every year. It will provide an opportunity to watch world-class ski jumpers in action, who are each competing to score the most points in all four events. So, the atmosphere is incredibly competitive, which adds to the drama of this mesmerizing sport.